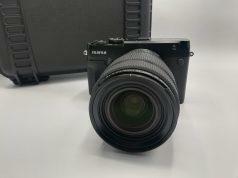 Manila, Philippines – FUJIFILM Corporation (President: Kenji Sukeno) is delighted to announce the launch of the FUJIFILM XH1 camera, the highest performance camera in the X Series range of mirrorless cameras, known for its superior image quality created using FUJIFILM’s proprietary color reproduction technology. 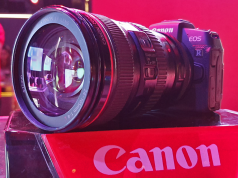 The camera is also compatible with a range of other interchangeable lenses due for release later this year. These include the MKX18-55mmT2.9 and MKX50-135mm T2.9 professional cinema lenses which incorporate the X mount (scheduled for release in May 2018), the XF200mmF2 R LM OIS WR, a wide aperture single-focus telephoto lens, and XF8-16mmF 2.8 R WR, designed to meet the needs of scenery or landscape photographers, both of which are scheduled for release by the end of 2018.The new camera and lens combinations will provide outstanding image production and will be ideal for fast action sports photography. Standout features 1. 5.5 stops (*1) in-body image stabilization (IBIS), a new feature expanding the high-quality photographic range of the X Series. 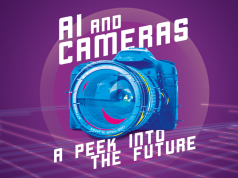 ・ The assembly process also includes inspection and adjustment of each individual camera to ensure that even when image stabilization is used, the parallel position of the sensor is achieved with microorder accuracy equivalent to previous models. ・ The photographer may also choose to use the electronic front curtain shutter or the electronic shutter, virtually eliminating the effect of vibrations to maximize the benefits of image stabilization. 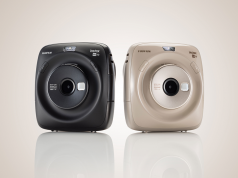 The X-H1 uses the APS-C size X-Trans™ CMOS III (*3) sensor (24.30 million pixels, without low-pass filter) and the high-speed image processing engine X-Processor Pro. 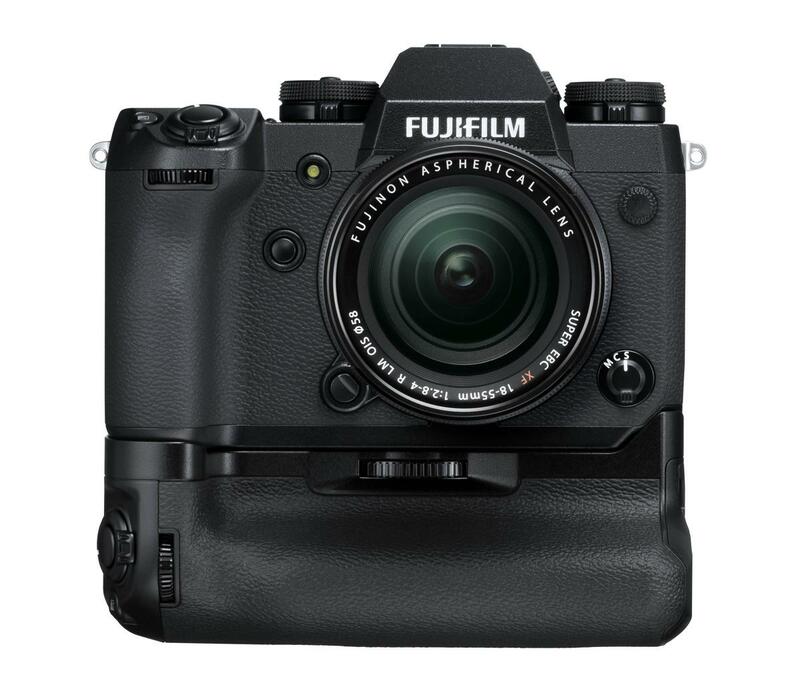 This proprietary FUJIFILM technology was first seen in the X-Pro2 and then X-T2 cameras, receiving many awards globally. When used in combination with the extremely high-quality FUJINON lens, as well as the unique color reproduction technology developed by FUJIFILM more than 8 decades ago, the X-H1 produces outstanding, unrivaled quality images recording the finest details of the subject including its texture, three-dimensional structure and even the atmosphere and vibe of a particular scene. (1) In addition to the camera’s dust-resistant, water-resistant properties, and the ability to operate in temperatures down to -10°C, the camera also uses a 25% thicker magnesium alloy compared to the X-T2. 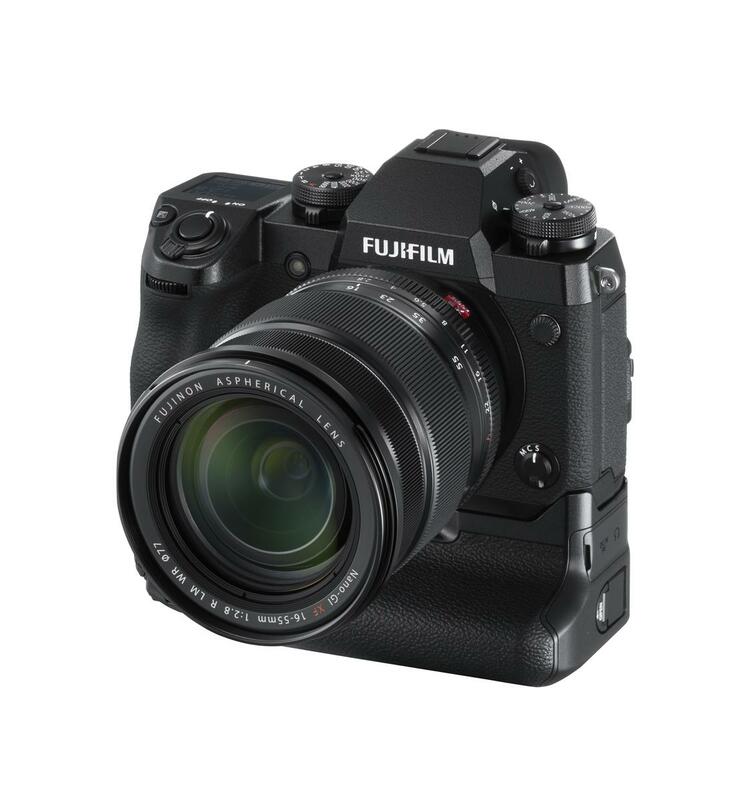 FUJIFILM has also modified the structure for attaching the mount, resulting in a more compact size and lighter weight body that maintains high precision and strong resistance to impact shock torsion and other sources of deformation. Increased particle size on the camera’s external surface provides a high-quality scratch-resistant coating with a surface hardness equivalent to 8H. (2) The viewfinder is a high-magnification, high-precision electronic viewfinder. The magnification ratio of 0.75 times and the 3.69 million resolution leads the class for mirrorless cameras. The viewfinder display is extraordinarily smooth, with a display time lag of just 0.005 seconds and a frame rate of 100 frames per second, allowing the photographer to instantly confirm the movement of the subject and position of the focus with great precision. The rear LCD monitor is a 3-direction tilt, 3-inch, 1.04 million dot electrostatic touch-panel LCD which can be intuitively set to the desired angle. 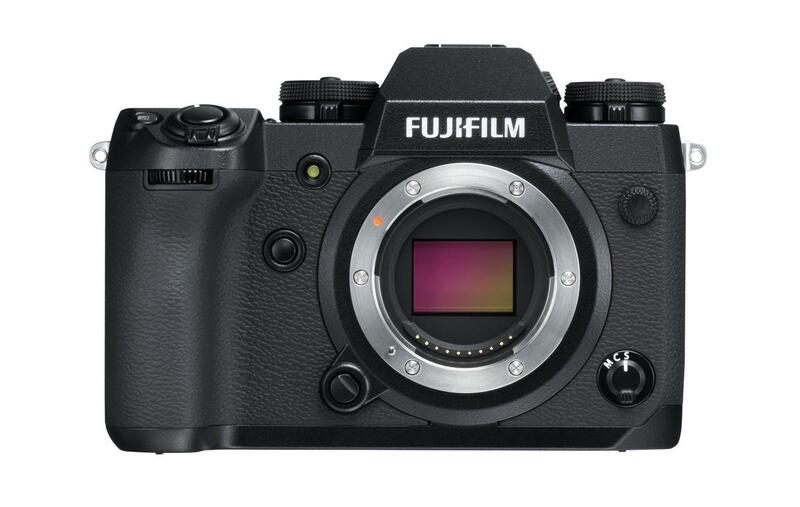 In addition, the 1.28 inch sub-LCD on the top of the camera, a current feature of the medium format FUJIFILM GFX 50S, allows for instant confirmation of shooting information. (3) Improved operability with a total of 19 modifications based on feedback from professional photographers ・ The camera uses a large-grip design with the new shape and a leaf-spring switch for the shutterrelease button to achieve a stable feel when holding the camera and easy operation of the shutterrelease button to ensure no opportunities are missed. ・ The camera has the quietest shutter sound of all cameras in the X Series, making it an ideal tool for environments where quietness is required such as when shooting animals in the wild, quiet performances or at weddings. ・ A new AF-ON button has been added to the back of the camera. This makes it easier to operate the autofocus with the thumb, allowing the photographer to focus on using their index finger to operate the shutter-release button. In addition, other modifications have been made to improve operability, including the enlargement of the buttons on the rear of the camera and improvements to the grip of the front and rear command dials. ・ The X-H1 also features focus lever that facilitates rapid, accurate movement to the desired focus point. 200 Mbps high bit rate recording, a high-sound quality internal microphone (24 bit/48 kHz) and verbal time codes. *4 The color space is defined according to ITU-R BT.2020. (2) The range at minimum aperture has been expanded from F8 to F11. For example, even when using the XF100-400mmF4.5-5.6 R LM OIS WR with the teleconverter XF2X TC WR, phase detection autofocus can now be used. Dust-resistant and water-resistant operates at temperatures of down to -10°C. 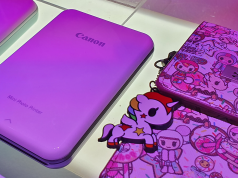 Two batteries may be attached, with a third battery in the body of the camera increasing the maximum number of available shots in normal mode to approximately 900. In boost mode, multiple batteries can be used simultaneously, improving performance for burst shots and reducing the interval between shots, shutter time lag, and the blackout period. In addition, the accessory also increases the maximum period for shooting movies in 4K to about 30 minutes, making the VPB-XH1 an essential accessory for maximizing the performance of the X-H1. 2. 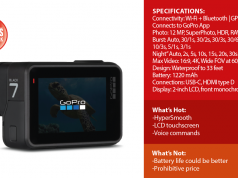 Controls include the shutter-release button, focus lever, AE-L button, AF-ON button, command dial, Q button, and Fn button, providing the same easy operation when using the camera in both the vertical and horizontal positions. 3. The VPB-XH1 is equipped with a headphone socket, allowing the operator to monitor sound while recording video. 4. The grip also includes recharging capability. The included AC adapter (AC9VS) can be used to recharge two batteries simultaneously over approximately 2 hours. The wide cup covers a broad area around the eye, greatly reducing light interference and enhancing concentration during long shoots. The eye cup can also be rotated in 90° increments, making it adaptable for either the left eye or the right eye and for shooting in either vertical or horizontal position. The cup also includes antistatic coating, reducing the adherence of dust. Fujifilm X-H1 Body is Php 106,990 and Fujifilm X-H1 Grip Kit is Php 124, 990. 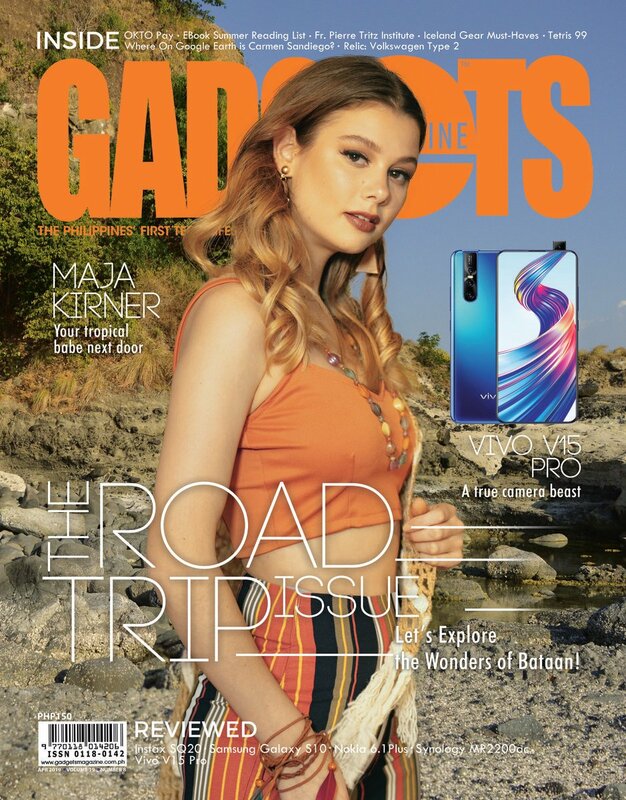 You may pre-order at authorized dealers nationwide.